Tregaron: Bettws Leiki, Blaen Penal or Llan Penal, Caron (2), Caron Uwch Clawd or Strata Florida, Dothie Camddwr, Dothie Piscottwr, Garth and Ystrad, Garthili, Gogoyan, Gorwyd, Gwnfil, Lower Gwnnws, Upper Gwnnws, Llanbadarn Odyn, Lower Llanfihangel Lledrod, Upper Llanfihangel Lledrod, Llangeithw, Llanio, Nantewnlle, Prisk and Carvan, Yspytty Ystrad Meiric, Yspytty Ystwith. The population falling within the union at the 1831 census had been 9,558 with parishes ranging in size from Garth and Ystrad (population 110) to Caron (1,550). The average annual poor-rate expenditure for the period 1834-36 had been £1,884. 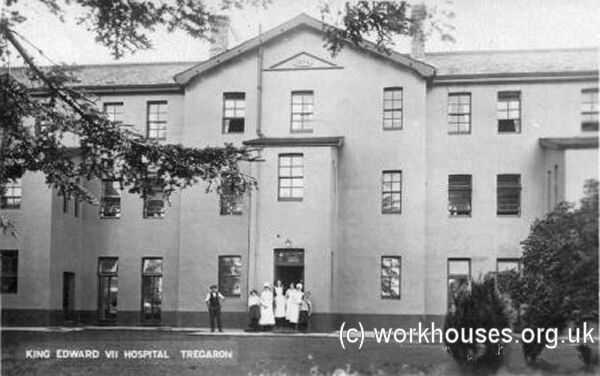 The Tregaron Union workhouse, which bears the date 1876, was built at a site to the south of the town. Its location and layour are shown on the 1938 map below by which time the building was being used as a sanatorium. The building comprised two parallel ranges separated by a short central connecting block. Tregaron entrance block from the south, 2000. Tregaron entrance block detail, 2000. 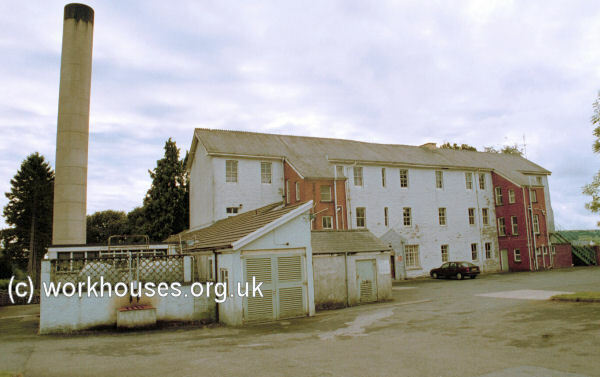 Tregaron rear of entrance block from east, 2000. 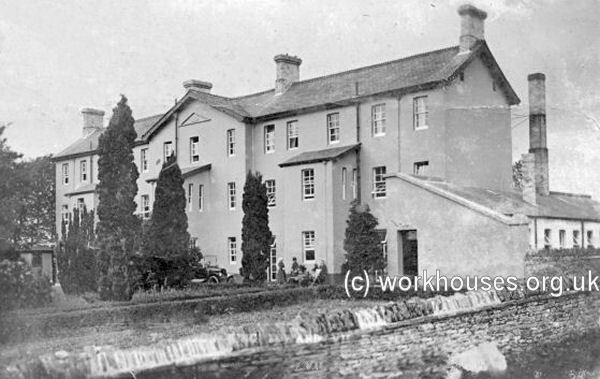 The workhouse closed in 1915 with its inmates being transferred to Aberystwyth. 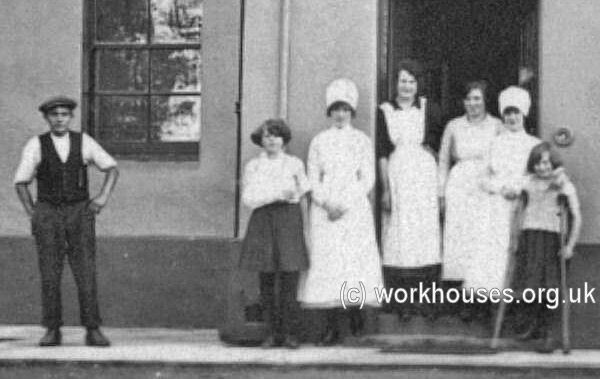 The site was then taken over on a 99 year lease by the King Edward VII Welsh Memorial Association who converted it for the treatment of TB patients under the name of the King Edward VII Hospital. King Edward VII Hospital, 1930s. The rear accommodation block has been demolished. 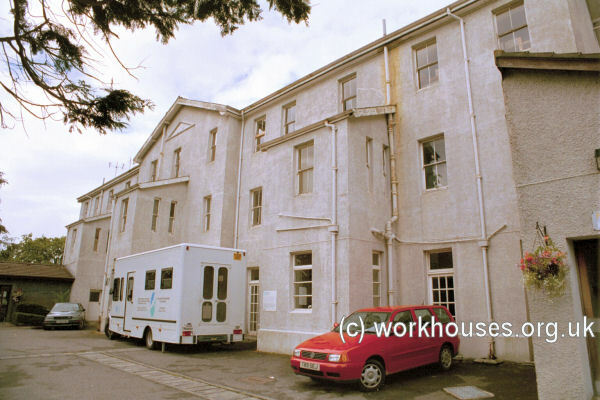 The site is now used as a community hospital and the former entrance block is used as administrative accommodation. Ceredigion Archives, Old Town Hall, Queen's Square, Aberystwyth, Ceredigion SY23 2EB. The few surviving records include: Guardians' minute books (1868-1930); Financial records (1881-1930); etc.